The Living Thing is the tragicomic story of a woman in her late forties, approaching menopause, who is sent by her doctor to a spa town where she falls into a crisis and has to re-evaluate her life while dealing with a number of strange characters, among them the restrictive owner of a B&B, an older man making unwelcome advances, a hag trying to make the woman her servant, and the unsettling entry of a young homeless woman. Originally published in German as Pyrmont, and now, after a translation by Culicidae Press editor Mikesch Muecke, for the first time available to our English-reading audience. Against this background we have to read the actions and thoughts of a chubby woman at the end of her forties traveling for a month-long spa visit to the thermal bath of Bad Pyrmont. Unnecessarily, as she tells herself, because she is doing quite well: she has a secure job, a nice apartment, a great girl friend, and a married best friend for occasional copulation visits. And now, after a trip to New York last year, it’s Pyrmont, on doctor’s orders. 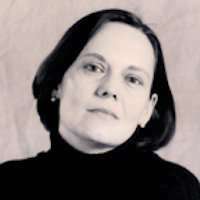 Sporadically plagued by menopausal symptoms, she clings initially to her brave sense of superiority. She’s not ready to give in to the inevitable, and to accept her age and the resulting decay. Between inner monologue and omniscient narrator unfurls a spectrum of banalities and absurdities that lets the reader snicker, and in the next moment makes him pause in shock. Nowhere in the book is the reader allowed to indulge in a breather. The fascinating encounter with an accidental lover, the association with a shrill old woman in a wheelchair and her aged friend who wants to know it one more time, the acquaintance with a homeless youth, and finally the landlady, with whom she engages in verbal sparring — in all these tragic-comic interpersonal relations the reader hopes, fears, and feels with the female protagonist. Vera Blue – that’s how the old woman named her, matches ‘by chance’ the name of the B&B where our heroine is placed: Pension Hyacinth. You never learn her ‘real’ name; it remains, just like the protagonist, in some way mysterious. Even if Vera Blue is sometimes unpleasant in her arrogance, she still evokes compassion in the reader, because her self-deception shimmers through again and again between the lines, her desperate clinging to illusions. With a great wealth of detail and absolute ruthlessness the author gives her readers insight into the contradictions of a woman in menopause; in a staccato, often breathless narrative she describes the maturation of a woman who, at the end, acknowledges her ordinariness. From a tiger-motif swimsuit that’s too tight to permanent-press white-cotton underwear — the reader experiences a metamorphosis, in which he chokes on laughter many times. Female readers will have no choice but to identify with one or another aspect of the book’s heroine, while male readers can learn a lot about women. The book can be thought of as a highly successful counterpart to Hermann Hesse’s The Spa Guest, but this time from a female perspective. The subtle storytelling comes across with tremendous eloquence — intelligent trifles — such as the occasional allusion to fairy tale motifs: the book is plump and juicy like a fruit, outside sweet, but with a bitter core. 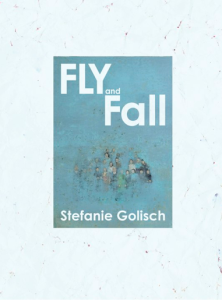 The novel by Stefanie Golisch, a German writer who has lived in the Italian town of Monza since 1987, appeared initially in 2006 in the Thaleia-Verlag, and is now available in English translation. 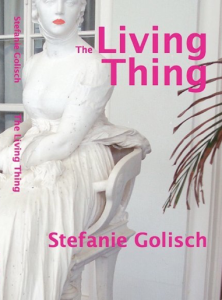 With the title The Living Thing the translator and editor Mikesch Muecke succeeded remarkably to capture the special atmosphere of this book and to transfer it artfully into another language. 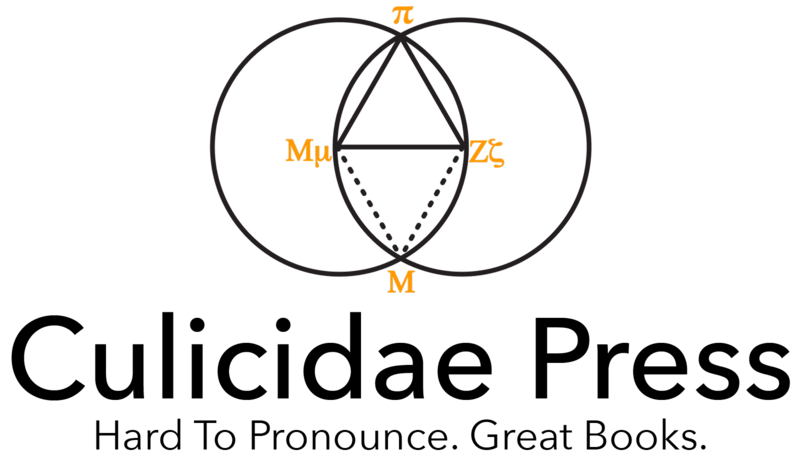 In the process he translates sometimes rather freely — while remaining, however, at the high niveau of the author. The novel has an epilogue with a few observations by Muecke about translating in general and in particular. He stresses how important it was for him to keep the idiosyncrasies of the German version in English. Beyond that he also points out that this is a very American translation — characterized by the 25-year-long residence of the German-born translator in the United States. Finally there is also some information about font use and book design. Worth mentioning to me is the choice of the book cover. It shows a detail of the statue of Queen Louise of Prussia, photographed in Bad Pyrmont, where Louise stayed a few times as a spa guest. The difference to the original: a brightly painted red mouth, photoshopped onto the statue ex post facto.